or awkward pictures of me using my camera's timer! In the middle of January, my partner in crime and I flew to Colorado to go skiing. We picked Winter Park because (1) it was affordable to rent my friend's ski-in-ski-out condo, (2) she found a link on the resort's website for four-day lift tickets for $189 (!!! ), and (3) because I've been to Winter Park twice in the summer, but never in the season it's named after. After three days of skiing in ideal conditions on a massive mountain, two things became obvious. First, I was completely spoiled by our little ski-in-ski-out condo. I'm going to have a tough time staying overnight at a resort where I can't go directly from my bed to the slopes. Second, I didn't want to ski anymore. Not forever, just on that trip. I was done. I called it early on the third day because I wasn't having fun anymore while my partner in crime kept skiing until the lifts closed. We both did what we wanted, and we both enjoyed the day. It was an ideal scenario for both of us. 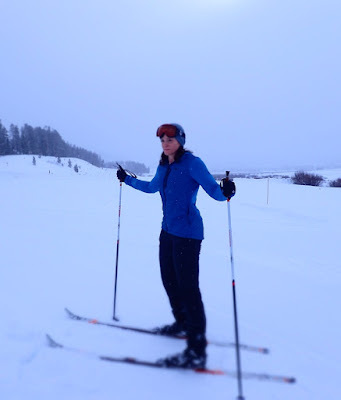 That night, we chatted about what to do on our fourth and last day in Winter Park. I'd already paid for four days of skiing, but a fourth day also meant paying another $50 for my demo ski rental. I didn't anticipate having an extra $50 worth of fun on a fourth day of skiing, so I started looking for other activities. Though we enjoy doing things together, and prefer doing things together, it's also important to both of us to be able do our own thing. I enjoy skiing, but I also enjoy other activities. He loves skiing, and when the snow is as good as it was in Winter Park, asking him to skip a day because I wasn't into it wouldn't have been fair. So on our final full day, we opted to do different things, and not only was that okay, it meant we were both going to be able to have the maximum amount of fun we could have. Instead of hitting the slopes, I layered up and hit the road for Devil's Thumb Ranch to try cross country skiing. I have next to zero experience, but it's not something I get the opportunity to do at home. It was also something I felt comfortable doing alone. I'd been to the Ranch in the summer, and knew if something went wrong, help wasn't far away. 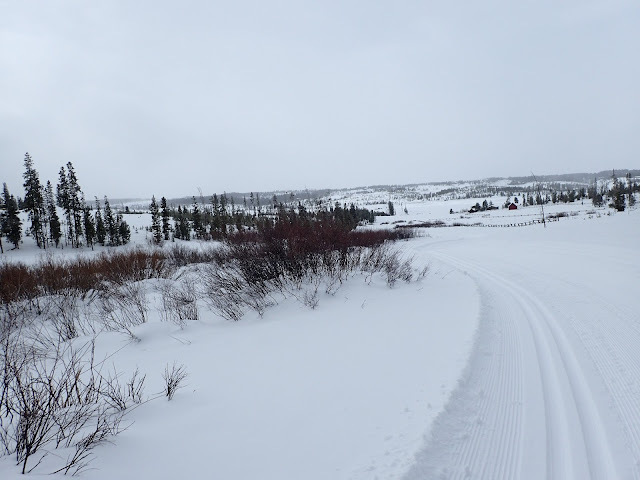 The Ranch is home to over 100km (62 mi) of groomed trails, and with a local race planned the following day, the trails were in great shape. 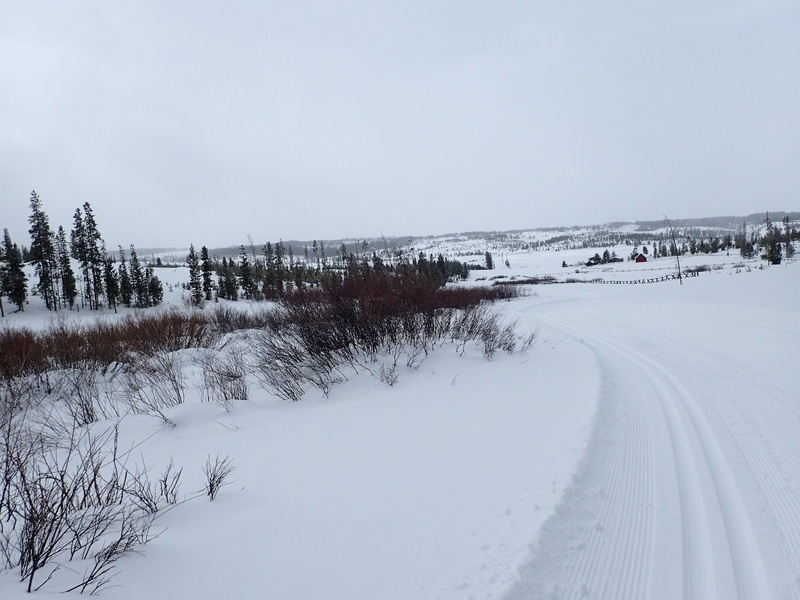 I stopped in the rental shop to pick up a cross country ski rental package, which cost a less than my alpine ski rentals, grabbed a map, and after asking staff members for advice on which trails to try, I practically ran out the door. I couldn't wait to get out in the snow. I stuck to groomed blue square trails in the morning, venturing out on Coyote, Ram's Curl, and Ram's head, quickly learning that balancing on a pair of long, skinny skis was not the same as balancing on a pair of alpine skis. I tipped over twice while trying to keep my skis in the parallel tracks left by the groomers and two more times while trying to stop. But for the most part, I had the trails to myself, so embarrassing falls went unnoticed. 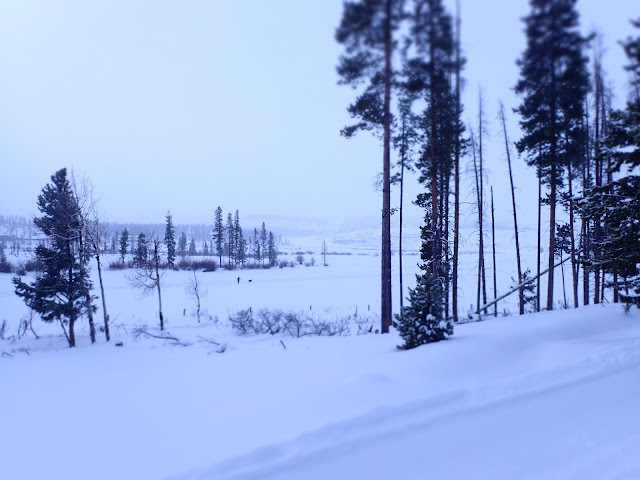 I stopped to take pictures and look around, listened to the wind whipping through the trees, watched inch after inch of snow fall until the sun came out a few hours into the day, and then watched the hillsides sparkle. 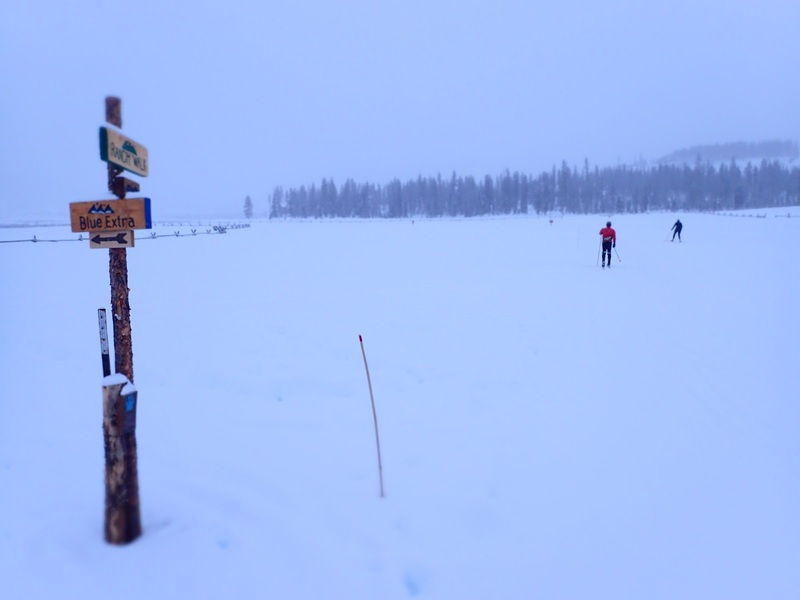 I skied as quickly as I wanted to, for as long as I wanted to, and no longer. When the trails closed at 2pm, I bought myself a steak salad and a cocktail at Heck's and waited for the lifts to close at Winter Park so I could meet my partner in crime for the drive back to Denver. It was an absolutely glorious day. But isn't going out alone supposed to be weird, or unsafe? 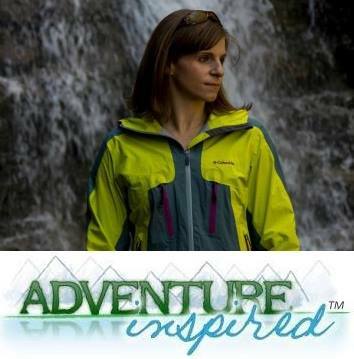 When I picked up my rentals, I half expected the staff to indicate they thought I was strange to go out alone, to ask if I knew what that meant, and to ask probing questions about my level of experience, as if to question whether or not I'd be safe out there by myself, if I belonged out there by myself. But no questions came, and perhaps it was because of where I was, perhaps the staff was used to seeing people come in and go out alone. Bottom line? I'm grateful to be in a relationship where we respect each others' feelings, passions, and need for independence. I'm also grateful for the chance to have solo adventures like this one because sometimes, being outdoors alone can be a really fun thing. Have you been on a solo adventure recently, or not recently? Why or why not? If you have, I'd love to hear about what you did and where you did it!